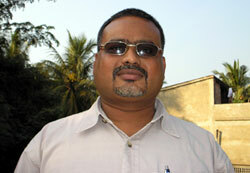 Watchdog Detectives Association – “The Worlds Local Detective” is headed by Mr. Dinonath Malick. The company, based in Kolkota, West Bengal, is the premier Investigative firm in Eastern India. Founded in 1996, Watchdog has a fine history of serving the public in a variety of service needs and case assignments. The company maintains a full forensics department, as well as many qualified field operatives. Watchdog is the leading private detective organization in India and the largest private investigators network worldwide. The head office is located at Kolkata, India, but the company is networked with various professional detectives, investigation agencies and law enforcement departments across the globe, to assure quality services in any area of the world. The company’s valued clients include many large corporations, financial institutions, industrial manufacturers and distinguished private citizens worldwide. The company has quality references available.